ADS vs MLR: Adelaide Strikers are pitted against Melbourne Renegades in a Big Bash tie at GMHBA Stadium in Geelong. Both the teams have two wins from four outings in the competition so far. Speaking of the current form, the Strikers have a winning momentum and confidence after they piped Sydney Thunder in their last outing (Dec. 31). The Renegades, on the other hand, come into this fixture with two losses on the bounce. 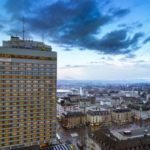 Previous article What to Do on a Fun-Packed Weekend in Zurich?